July 24th was the starting date for the Aachen Graphene & 2D-Materials Center, a joint research center of RWTH Aachen University and AMO GmbH. The Aachen Graphene & 2D-Materials Center integrates the already ongoing activities of several research groups at RWTH Aachen University and AMO GmbH in the fields of physics, material science and electrical engineering with the primary goal to efficiently bridge the gap between fundamental science and applications. The mission of the Aachen Graphene & 2D-Materials Center is to exploit the unique properties of graphene, two-dimensional (2D) materials and 2D-heterostructures from a fundamental and applied point of view. 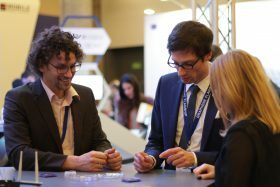 The activities of the Center will address the challenges of future technology including high-frequency electronics, flexible electronics, energy-efficient sensing, photonics as well as spintronics and valleytronics, for which graphene and related 2D-materials have proven to be a unique enabling platform. Therefore, the center brings together the complementary expertise of Aachen’s world leading research groups and puts the Aachen Graphene & 2D-Materials Center in a leading position in Germany and Europe. 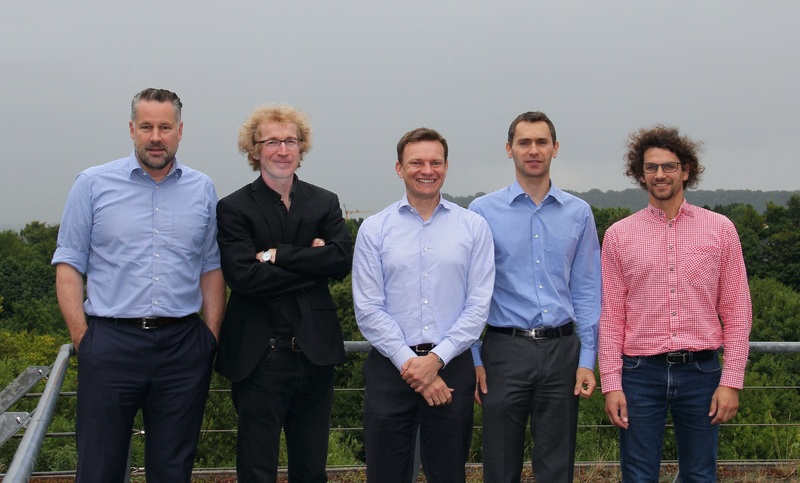 The founding members are Prof. Christoph Stampfer (RWTH and spokesman of the center), Prof. Max Lemme (AMO and RWTH), Prof. Markus Morgenstern (RWTH), Prof. Renato Negra (RWTH) and Dr. Daniel Neumaier (AMO) who are also active in the Flagship Project Graphene. 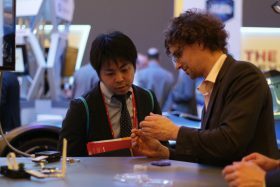 The Graphene Flagship and ICFO, with support from the GSMA, present the Graphene Experience Zone at the 2017 Mobile World Congress (MWC). MWC is the world’s largest gathering for the mobile industry, (with over 100,000 attendees), and will be held from 27 February to 2 March 2017 in Barcelona. The Graphene Experience Zone will showcase the latest achievements and innovations from the graphene community in an interactive and accessible way. AMO andRWTH Aachen University will present an on-stage demonstration of a graphene based Wifi receiver within their Graphene flagship cooperation. This year the Graphene Experience Zone will feature five different innovation areas: IoT and Sensors; Wearables and Health; Energy; Datacoms; and Composites. 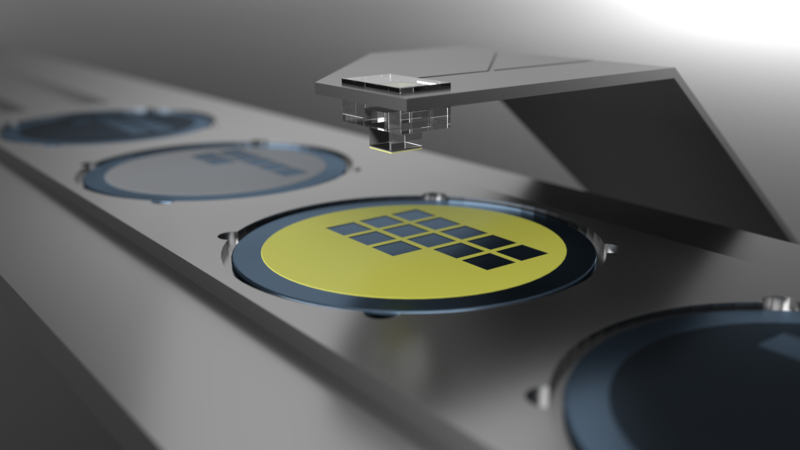 Each area will contain specialised demonstrators and prototypes developed by leading industry and academic partners. At the heart of the Graphene Experience Zone will be the graphene concept car, developed by the University of Manchester in collaboration with Haydale, UK, and British carmaker BAC (Briggs Automotive Company). The car, which combines many of these different technological areas, will be showcased in a truly captivating setting. 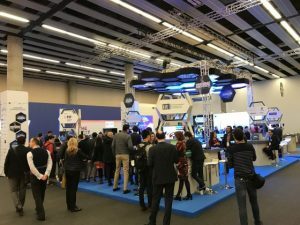 New to Mobile World Congress is the Youth Mobile Festival (YoMo) which will see up to 20,000 young people (aged 10-16 years) from across Catalonia and Spain experience science and technology in an educational and hands-on way. YoMo will include a mix of workshops, theatre and shows with the goal of having younger generations learn more about science and technology based careers in a fun and engaging way. One of these workshops will encourage its participants to create their own ‘Graphopolis’ where they will explore how graphene could change their city in an interactive way. This event is run as part of the Graphene Flagship and developed by ICFO – The Institute of Photonic Sciences, Istituto Italiano di Tecnologia (IIT), Novalia and University of Cambridge with the support of the European Commission and the GSMA. Graphene is one of the most interesting and versatile materials known to date. The world’s first two dimensional material, this single layer of carbon atoms arranged in a hexagonal lattice has a set of unique and outstanding properties. As well as being the thinnest, strongest and lightest material, graphene is flexible, impermeable to molecules and extremely electrically and thermally conductive. As the world strives to maintain its pace of innovation, graphene has much to offer. Graphene is helping to facilitate the next generation of technology: from interconnects for data communication to screens and casings. For example, the strong and flexible nature of graphene makes flexible displays and bendable batteries possible. Its excellent sensing ability can be used in the next generation of wearable electronics and to develop building blocks for the internet of things. Graphene’s unique combination of properties coupled with its ease of incorporation into composite materials mean that it can enhance the composite world. Graphene is also paving the way for novel diagnosis and treatments such as in the realm of drug delivery and biosensors. Graphene-based technologies are proving integral to the new generation of communications, such as 5G, enabling high performance optical communication systems through ultra-fast and compact optoelectronic devices. The Graphene Experience Zone, jointly organised and run by the Graphene Flagship and ICFO with support from the GSMA will include an exciting array of academic and industrial partners. Confirmed participants (in alphabetical order) currently include: AMO, Catalan Institute of Nanoscience and Nanotechnology (ICN2), Centro Nacional de Microelectrónica, Emberion, Ericsson, FGV Cambridge Nanosystems, FlexEnable, G-Next, Graphenea, Haydale, IMEC, Institut de la Vision, Istituto Italiano di Tecnologia (IIT), National Research Council (CNR), Nokia, Novalia, RWTH Aachen University, ST Microelectronics, The Centre of New Industries and Technologies (CNIT), The Institute of Photonic Sciences (ICFO), University of Cambridge (UCAM) and University of Manchester – National Graphene Institute (UoM NGI) with more names to be confirmed soon.